Arkansas Legislature’s Joint Committee on Constitutional Amendments Set to Look at Tort Reform Measures Tomorrow - McMath Woods P.A. Published on Apr 4, 2013 at 3:30 pm in Consumer Awareness. The Arkansas State Legislature’s Joint Committee on Constitutional Amendments is set to meet tomorrow morning, April 5, 2013, at 9:00 a.m. On the agenda are three proposed constitutional amendments involving tort reform – SJR 2, SJR 5 and SJR 6. 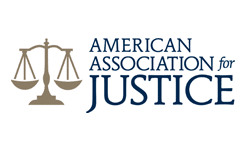 McMath Woods encourages you to contact the legislators on the joint committee and urge them to protect the right to a jury trial for all Arkansans by saying “no” to SJR 2, SJR 5 and SJR 6.